Depending on the plan you have chosen, you can have up to 50 different menus in your account. This feature is very useful if you develop/support multiple web sites or if your site includes separate areas for navigation: main menu, side menus, bottom menu, etc. 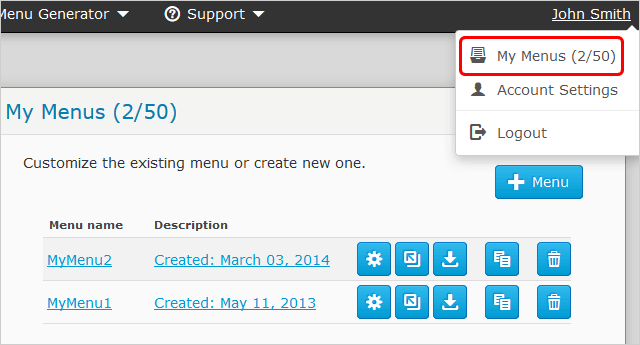 To add a new menu, proceed to the "My Menus" page.